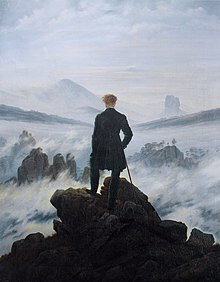 Romanticism (also the Romantic era or the Romantic period) was an artistic, literary, and intellectual movement that originated in Europe toward the end of the 18th century and in most areas was at its peak in the approximate period from 1800 to 1850. It was partly a reaction to the Industrial Revolution, the aristocratic social and political norms of the Age of Enlightenment, and the scientific rationalization of nature. Novalis, as quoted in "Bildung in Early German Romanticism" by Frederick C. Beiser, in Philosophers on Education : Historical Perspectives (1998) by Amélie Rorty, p. 294. And these same everlasting "youths" are with us again today, immature, destitute of the slightest experience or even real desire for experience, but writing and talking away about politics, fired by uniforms and badges, and clinging fantastically to some theory or other. There is a social Romanticism of sentimental Communists, a political Romanticism which regards election figures and the intoxication of mass-meeting oratory as deeds, and an economic Romanticism which trickles out from behind the gold theories of sick minds that know nothing of the inner forms of modern economics. They can only feel in the mass, where they can deaden the dull sense of their weakness by multiplying themselves. And this they call the Overcoming of Individualism.